I may (may??) be biased, but I think that my 3-1/2 year old grandson, Braydon, is adorable and I have a lot of cute photos of him. My daughter sent me this one recently and it's one of my favorites. 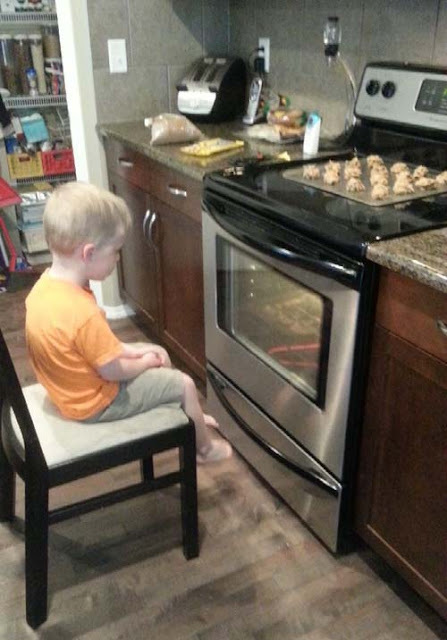 Jessica and Braydon had spent the morning making cookies, and now he was patiently waiting for them to bake so that he could have one. I'm not sure that I could have been as patient.